When a child’s legal father who is paying child support learns new information relating to the paternity of the child, it is not uncommon for that individual to begin the process of disestablishing paternity, which starts with the filing of a petition with the court. If the request is granted, the child’s father would be relieved of his legal obligation to continue to pay child support, although he would not be entitled to a refund of past payments. Not all fathers who find out that they are not the biological parent of a child take this route, but those who do should strongly consider speaking with an experienced paternity and fathers’ rights attorney who can ensure that their petition is filed correctly and with the proper court. An affidavit explaining that the petitioner is current on all child support obligations, or that he has substantially complied with the child support order and that any late payments or debts arose from a legitimate inability to pay. The petitioner didn’t act to prevent the child’s biological father from asserting his parental rights. The petitioner voluntarily promised to support the child in writing. 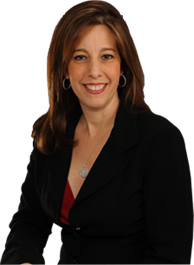 To speak with an experienced Fort Lauderdale paternity and fathers’ rights attorney about your questions and legal options, please contact Sandra Bonfiglio, P.A. at 954-945-7591 today.